If you are a Facebook user, you really can’t help but have “friends” on Facebook. You may, however, want to keep all of the friends you have as ONLY close friends. Over the years, Facebook has really changed the friend request process to the point where now you can’t outright deny a friend request. Based on an incredibly non-scientific test, I have a solution for this prickly situation. Read on for more details. You may have heard of a small movie about a big social media company called Facebook, that opened this week. I had the chance to check it out recently, and, after letting it sink in for a few hours – I decided I’d share my thoughts about this movie. 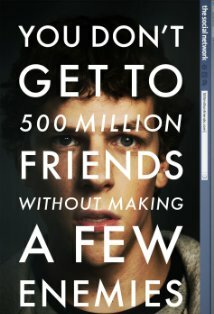 First off, The Social Network is a movie that chronicles the first year of Facebook, the online social media website. It centers around the founders of the site and, of course, the drama surrounding all of it. My basic feeling about this movie is that it was (a) well done and (b) fast and loose with the facts. Update: Take a look at this post: The 10 Most Glaring Lies In “The Social Network”.